We aim to give the highest level of driver tuition while making the driving lessons both educational and fun. 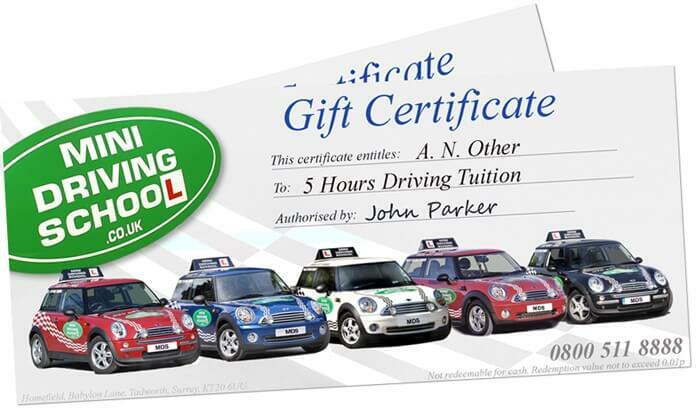 Gift certificates can be ordered for driving lessons in any number of combinations. For more information and prices call us on: 0800 511 8888 / for calls and texts to mobile 07885598481 lines open until 11.00pm, 7 days a week.